Find free classifieds for Vacation rentals for sale or to buy in Tamil Nadu. FREEADS in India offers you a platform to post free advertisements or classifieds for Vacation rentals, Tamil Nadu. FREEADS in India helps you search, find, buy, sell, rent or hire in various categories like apartments, goods for sale, local services, cars , jobs and many more in Tamil Nadu. 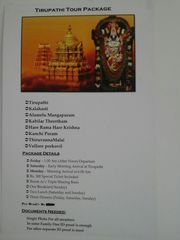 Shown below are ads available in Vacation rentals, Tamil Nadu. You can use search box above to refine your search. River Rafting in Rishikesh, River Rafting Packages in Rishikesh, River Rafting Tour Packages in Rishikesh, Best & Affordable River Rafting in Rishikesh, Call us : +91-8375817086 http://whiteswissrishikesh.in/river-rafting-in-rishikesh.html. Book Affordable budget frinedly hotel room for short transit stays on Hourly basis in Chennai and save upto 50%.100% safe and couple friendly hotel rooms for hourly based short stays in Chennai, Alwarpet, Guindy, Karapakkam, Kodambakkam. http://bag2bag.in/" />. Book the Best Resort in Kotagiri close to Coonoor. The wooden cottage is cozy with luxury and the best view of the Nilgiris Mountains..
Budget Hotels in Trichy provides you with a cushty keep. Is one in all the most effective cheap and Economic Hotels in Trichy. 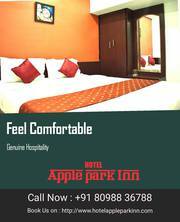 Apple Park is settled regarding kalaignar arivalayam, simply five minutes far from the Rockfort Temple. Choose from equipped rooms and suites giving town views, soothing interiors, and complete amenities. WEBSITE : trichyrentacar.com/ EMAIL ID:- trichyrentacar@gmail.com We provide Car & Bullet rental services to our clients with in Tamilnadu, We are located at Trichy – Center of Tamilnadu. We also provide door step pickup & drop facilities, Any Airport Pickup service within Tamilnadu for our Clients. This is a package programme that comprise of Kannimara safari, Bamboo Rafting, Tribal Symphony, Dusk Safari, Birdwatching and Trekking. The package is inclusive of all meals (Lunch Dinner, Bed Tea/Coffee and Breakfast.) Tented Niche Check-in time:12pm Check-out time:10.30am Day 1: 12.30pm: Check in 01. Ecorganic is the best Cottages, Resorts, Hotels Arrangers in Coimbatore. Ecorganic have listed Cottages, Resorts, Hotels in Near Isha Foundation Coimbatore. We are the No 1 Cottages, Resorts, Hotels Arrangers in Coimbatore..
Are you Looking for best serviced apartments in Chennai with best accommodation? Hanu Reddy Residences offer luxurious & comfortable service apartments near greams road, which provides 2 BHK and 3 BHK at affordable rates for your stay in Chennai. Book Online Now!!. Comfort Carz - Self drive cars and rentals gives you a decision of utilizing our stunning cars with your decision of protection and opportunity, . Sri Ranga Krupa is one of the POSH service Bungalow located on the river bank of Trichy. Trichy is a city loaded with lots of temples, entertainment, shopping area and more. 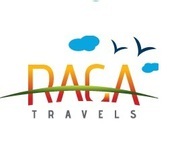 Ranga Krupa welcomes you to stay ahead and enjoy your holidays with us. Come in as a guest and leave as a family with the holiness and cherished memories. Droog Home Stay Coonoor, The Nilgiris. Coonoor capitalizes on the beauty of the Nilgiris, As the name suggests, As the name suggests, DROOG STAY offers a breathtaking view of the Droog hills and a enchanting view of the ghat roads to Mettupalayam from your door step, surrounded by mountains with misty views, located at about 2.5 kms from the Coonoor bus station and close to other popular destinations. Syening service apartment and guest house Located in Chennai (thoraipakkam, omr, sholingnallur, east coast road, Tidel park) Our guest house locality fully residential and clean area Near bye office in(cognizant, cts, fourrts, Aricent group, Infoview, infosys, Accenture , gate way) Our guest house to railway station 40 minute and Airport 35 minute only (near park is there) Near bye restaurants is ( main land china, chat on chine’s , pizza corner , KFC, domino s pizza, pizza hut etc…. "Syening Serviced Apartment" Offers Luxury and Deluxe Category Guest House || Service Apartment in Chennai Velachery , OMR, Thoraipakkam, Sholinganallur, Tidel Park. Syening Associates in Chennai OMR Thoraipakkam Apartment Located in Very Prime Location. IT HUB way. (OLD MAHABALIPURAM ROAD ) Syening Associates To Sipcoat IT Park (3. Sree Jagam Guest House Kodaikanal is the best affordable home stay in the heart of Kodaikanal, near the lake and bus stand. Cottages, Rooms at the Guest house are clean and comfortable at cheap and affordable rates..
Sree Jagam Guest houses provides best luxury and budget Individual family cottages , home stays near the lake and busstand at affordable daily rent..
	Tirupathi 	Kalahasti 	Alamelu Mangapuram 	Kabilar Theertham 	Kanchi Puram 	ThiruvannaMalai 	Thirthani Package Details 	Friday – 1.00 Pm (After Noon) Departure 	Saturday – Early Morning Arrival at Tirupathi 	Monday – Morning Arrival at 6.00 Am 	Rs. 3 BedRoom Cottages in Ooty 3 BED ROOM COTTAGE : 3 INDIVIDUAL BED ROOM VEG RESTAURANT HOME MADE NON VEG FOOD LIVING HALL DINING HALL KITCHEN FACILITY REFRIGERATOR LCD T.V IN ALL ROOMS WITH SATELLITE CONNECTION RUNNING HOT WATER *CHECK IN TIME - 12.00 Noon* *CHECK OUT - 11. Are you looking for Luxury hotels in Tirunelveli ? RRINN 3 star Hotels provides one of the best accommodation and food & beverage services.http://rrinn.in/index.html. Hotels and Lodges in Coimbatore, Balu lodging is one of the best hotels and lodges in the town of Kavundampalayam - Coimbatore.Our Hotels and lodges are located on the main road of Mettupalayam road and Ooty main road and near to reach from airport and Railway station.Please visit www.hotelbalulodging. India ads for Vacation rentals, Tamil Nadu, Vacation rentals free ads Tamil Nadu, Vacation rentals for sale Tamil Nadu, Vacation rentals to buy in Tamil Nadu. This page is a classified ads listing for Vacation rentals Tamil Nadu. This listing includes classifieds for sale and to buy in Tamil Nadu. If you posted an advertisement on Vacation rentals, Tamil Nadu before please use Edit my ads button to change or cancel your ad. Vacation rentals Tamil Nadu ads Tamil Nadu, Vacation rentals classifieds Tamil Nadu, Vacation rentals free ads Tamil Nadu, ads for sale Tamil Nadu, ads to buy Tamil Nadu, FREEADS in India. Find here ads for sale, to buy and rent in Tamil Nadu. Goods for sale in Tamil Nadu, vehicles for sale in Tamil Nadu, Tamil Nadu real estate for sale, Tamil Nadu property for sale, property for rent in Tamil Nadu, business ads in Tamil Nadu, Tamil Nadu business classifieds, services in Tamil Nadu, Tamil Nadu services ads, jobs in Tamil Nadu, pets for sale in Tamil Nadu, Tamil Nadu dating, Tamil Nadu cars for sale.